American Hustle is a film packed full of elaborate scheming, manipulation, and false identity scams. The film’s protagonists, a pair of seasoned fraudsters, undertake extravagant personas in order to create a web of deception and scam their wealthy victims out of millions of dollars. Unlike Hollywood, in our modern world, the professional fraudster’s work is more streamlined and sly. Rather than targeting rich individuals and politicians like in American Hustle, one of the favourite targets of modern fraudsters is contact centres. In fact, various contact centres have revealed that more than 90% of total fraud calls are repeat attacks by a small set of professional fraudsters. In response to this modern form of attack, a new generation of voice biometrics technology has emerged: silently detecting known fraudster voices during incoming calls. Organisations are now starting to adopt this technology, with the goal of increasing fraud protection without disturbing the experience of genuine customers. Traditional security questions don’t always pick up these fraudsters, who are skilled in social engineering and armed with stolen identity data. As a result, it’s important to consider guarding all channels and points of communication within your organisation. However, industry analysts identify contact centres as a starting place and major weak link for security, which is exploited by fraudsters in the face of tightened online security. In American Hustle, professional fraudster Sydney (played by Amy Adams) uses her irresistible charm to fool almost everyone into believing her English aristocracy, even FBI agent Richie DiMaso (played by Bradley Cooper). The modern day fraudster is also skilled at using social engineering in an attempt to fool contact centre agents, who have the dual roles of customer service and security. They learn enough to pressure agents into security breaches by repeatedly and systematically calling. Today’s fraudsters also buy stolen identities and leverage social networks to answer many of the typical security and out-of-wallet questions. Unfortunately for American Hustle’s fraudsters, their criminal ways catch up with them when they are caught and coerced into working with the FBI. Nowadays there simply aren’t enough law enforcement agents to catch all of these fraudsters in the act. Instead, forward-thinking contact centres at banks and card issuers are turning to voice biometric solutions, with technology that profiles and recognises the unique vocal characteristics or “voiceprint” of a human voice. The voice biometric system stores the voiceprints of known fraudsters in a database and screens incoming calls, proactively notifying the live agent and/or fraud management system upon detection. The key to this new generation of voice biometrics is its “passive” operation. Calls are silently screened, and no additional questions are asked in order to match voiceprints. Agents proceed normally until they are alerted to any fraudster detection by the system. Stronger fraud protection: Voice biometrics can significantly reduce fraud losses and the number of fraud attacks using voiceprint screening that detects “repeat” calls by known voices. Organisations can help subvert many of these attacks with today’s advanced biometrics, reducing loss and deterring fraudsters who may then move on to other targets. 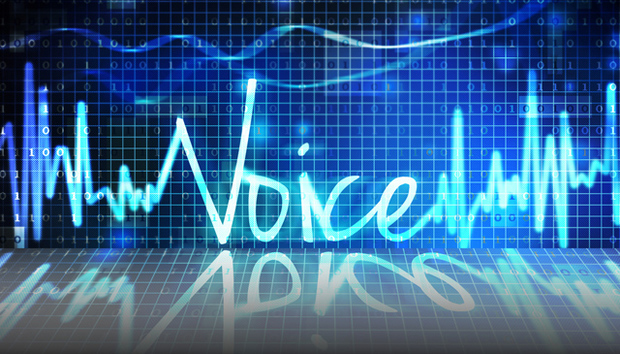 Increased visibility into fraud: Voice biometric solutions have the capability to track an individual fraudster’s voice even as he/she calls across multiple accounts and time periods. As a result, it can become a rich database and source of information regarding fraudster activities and behaviours. With this intelligence, the contact centre can gain important visibility into fraud patterns and details that weren’t available previously via a single source. These insights can be used to further improve security and efficiency. Reduced vulnerability to social engineering: Although fraudsters can trick or coerce agents, or flirt outrageously to try and bypass security, their smooth talk doesn’t fool a voice biometrics engine. By alerting an agent during a call or via the fraud management system even after an agent has been successfully bypassed, advanced voice biometrics solutions can reduce the contact centre’s vulnerability to the social engineering of agents. A fake accent and unrealistic wig just doesn’t cut it in today’s world. Modern voice biometrics technology provides significant advances compared to historical approaches, improving the safety of customer details and possessions, as well as their overall satisfaction. Voice biometrics has truly outwitted even the most advanced fraudster.